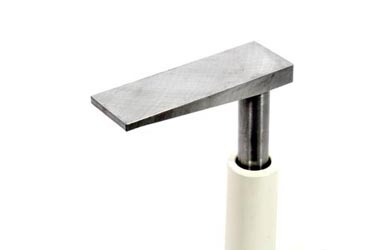 Box Tool Rest 2″ x 4 1/2″ with 5/8″ or 1″ dia. Tool Post Shank. Allows tools to be supported 3 1/2″ inside vessels/bowls for safety of operator and superior finishing. 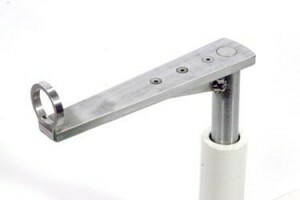 Deep Hollowing Tool Rest. Custom Sizes Available Upon Request. Gunsight design allows conventional tool to be controlled in a capture manner.